I’m looking forward to the release of the new Emoji because I’m easy to please. Even though new things are always exciting, I want to give props to my favorite Emoji to date, the hocho. I call it, “the knife” because I didn’t know what it really was until Erica and I did some research on it. Though the knife has been very useful when discussing the Bring Back Stabbing Campaign with Amanda, I feel like I have done my Asian heritage a great dishonor by not knowing a good hocho when I see one. Then again, I’m not Japanese. 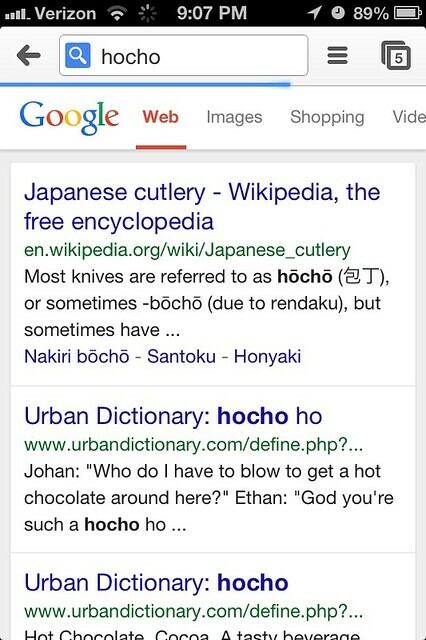 Considering that “hocho” means something different on the streets, I’m probably going to just keep calling them “knives”. Before we all get caught up in the excitement of the new Emoji, let’s all take a minute to rediscover the knife/hocho.